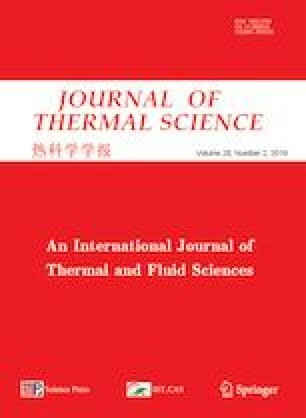 The performance of supercritical CO2 (SCO2) dry gas seal (DGS) with different deep spiral groove is investigated with the thermal-fluid-solid coupling method. The performance parameters of DGSs with five different kinds of grooves are obtained. The influence of inlet temperature, inlet pressure, velocity and film thickness on performance is analyzed compared with air DGS. The average film pressure, open force and leakage decrease while the average face temperature and flow velocity increase as the spiral groove number increases. The average film pressure, average face temperature, open force and leakage of DGS with radial different deep groove are higher than those of DGS with circumferential different deep groove respectively under the same spiral groove number while the average flow velocity is the opposite. SCO2 DGS can generate larger average film pressure, open force and leakage with lower average face temperature than air DGS. SCO2 DGS could maintain better sealing performance despite larger leakage with the variations of inlet temperature, inlet pressure, velocity and film thickness. The variables hold a more remarkable influence on SCO2 DGS compared with air DGS. The authors are grateful for the financial support provided by 111 project (Grant No.B16038).